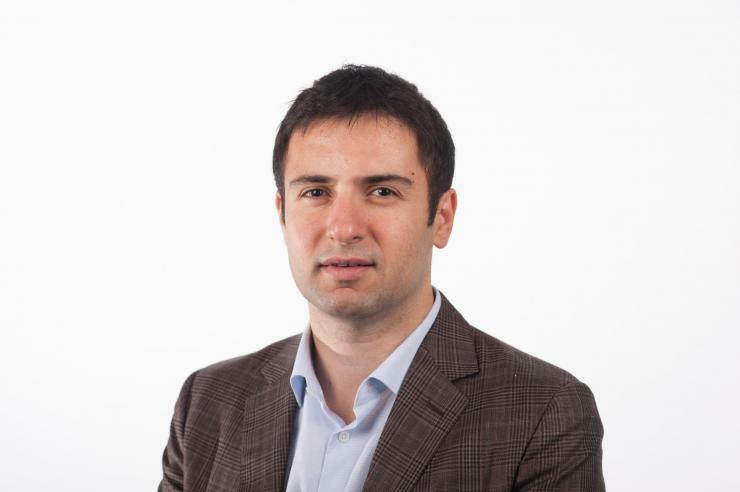 Fatih Sarioglu has received the 2017 Beckman Young Investigator Award for his project titled “All-Electronic Lab-on-a-Chip Platforms for High-Throughput Multi-Modal Cell Phenotyping.” He is one of eight young faculty members chosen for this honor from a nationwide pool of over 300 applicants. An assistant professor in the Georgia Tech School of Electrical and Computer Engineering (ECE) since 2014, Sarioglu leads the Biomedical Microsystems Laboratory. He will use his award to develop a radical lab-on-a-chip technology with integrated electronic readout to analyze heterogeneous cell populations. Lab-on-a-chip systems are microfluidic devices that analyze small volumes of biological samples in a compact-footprint, with minimal cost and with the ultimate goal of replacing centralized laboratories. However, lab-on-a-chip devices typically lack an on-chip readout mechanism, and therefore, require microscopy or other benchtop instruments for quantitative results, negating their cost and size advantages. Sarioglu’s research combines two traditionally distant technical disciplines, microfluidics and telecommunications, to integrate a low-cost, scalable electronic sensor network into lab-on-a-chip devices. Specifically, he uses code-division multiplexing employed in CDMA telecommunication networks to develop a network of biosensors for quantitatively monitoring bioanalytical processes in a microfluidic device. Given the need for disposable, quantitative biomedical assays, Sarioglu's research, enabled by this award, will have wide-ranging applications from basic biology research to point-of-care diagnostics. The Beckman Young Investigator (BYI) Program provides research support to the most promising young faculty members in the early stages of their academic careers in the chemical and life sciences, particularly to foster the invention of methods, instruments, and materials that will open up new avenues of research in science. Projects supported by the BYI program are truly innovative, high-risk, and show promise for contributing to significant advances in chemistry and the life sciences. They represent a departure from current research directions rather than an extension or expansion of existing programs. The 2017 BYI Awardees were selected from a pool of over 300 applicants after a three-part review led by a panel of scientific experts.